I spent the past week without having the time to sit down and write posts for house in the sand. And boy, did I miss it. It was wonderful meeting HITS people in person and actually seeing some of you in real life at our Berlin gig last week. But, still, I need to share music with you on here and that's exactly what we're doing today. Ladies and gentlemen, buckle up - we're going to discover a bunch of tunes this month! AK Patterson are an Alternative trio from Brighton, UK. If one thing is certain, it's that we should not be sleeping on this band - so let's get them on our radars. 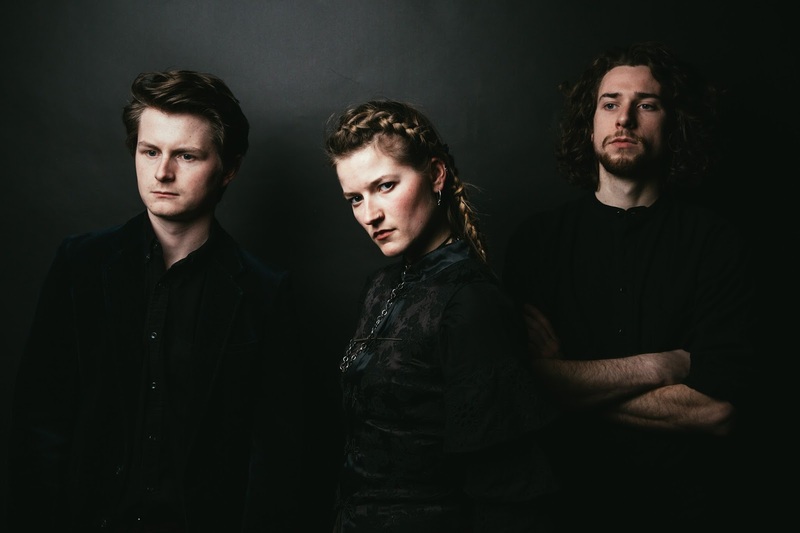 AK Patterson and her band mates Alfie Weedon and Nat Reading have a talent for deep instrumentals paired with haunting and vivid storytelling, voiced by AK's recognisable voice. Influeced by acts such as Bjork, Jeff Buckley, Ella Fitzgerald and Portuguese Fado musicians, you won't be surprised the variety of sounds you'll hear in the music. Their debut EP "Shadows" will be out on July 6th - but we already get to listen to the title track of the EP. "Shadows" is - in one word - spectacular. The song welcomes you with a calmly strummed acoustic guitar which provides the perfect entry for the song. AK's vocals offer so much depth and hint the intensity the song is going to pick up. There's something about the atmosphere of the track that allows you to dream, all while feeling nostalgic and melancholic. "Shadows" takes you on a journey, which you'll gladly follow. The more elements join the song, the further you dive into the world of AK Patterson. Once you think the song hit full potential, the musicians surprise you with an acapella part in the song, showcasing that they'll always have something else up their sleeves. We could go on for day, but let's all get into the song.